Local historian Garrett Peck focuses on the role the US played in WWI and how the conflict played out stateside. World War I is almost too vast to comprehend. Its causes arose from an arcane web of international liaisons and loyalties. It introduced the destructive technology of modern warfare such as chemical weapons, airstrikes and submarine attacks. And in the end, it engulfed an entire continent in conflict and resulted in the deaths of an estimated 17 million people. 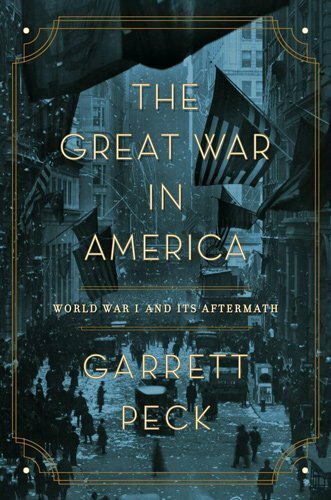 In “The Great War in America: World War I and Its Aftermath,” historian Garrett Peck narrows the focus to the US—but even then, the story is by necessity broad and complex. He begins with President Woodrow Wilson’s struggle to maintain neutrality in the face of German aggression, and goes on to describe how a country unprepared for war girded for the inevitable and eventually joined the conflict. Deftly balancing politics and the rigors of war with the human side of the story, he includes commentary from “backseat president” Theodore Roosevelt, journalist H.L. Mencken, and humorist Will Rogers, as well as cameos from Ernest Hemingway, Willa Cather, and even Rin Tin Tin. He is especially effective in portraying Wilson’s jaw-clenching determination to ensure a lasting peace once the final gun was fired. Peck is unstinting in his historical analysis of Wilson and the stubborn idealism that became his downfall. As he writes, Wilson’s “vision was one of grand idealism in the name of humanity and world peace, but his execution was one of overreach.” The president’s refusal to compromise meant that the US never signed the Treaty of Versailles or joined the League of Nations, the establishment of which won Wilson the Nobel Peace Prize. Even more tragically, the issues he left unresolved would eventually lead to World War II. 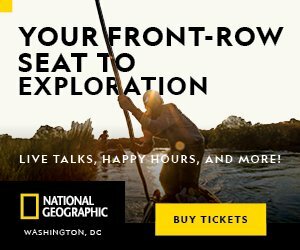 Garrett Peck serves on the advisory panel of the Woodrow Wilson House, lectures at the Library of Congress, the National Archives, the National Museum of American History, and the Smithsonian Institution, and is the author of seven books. Find more at www.garrettpeck.com. A pair of professional mediators has co-authored a book to help families with the tough issues related to aging and end of life. Have you had “The Conversation” yet? No, not that one—we all know about the birds and the bees—but the tough one, about planning for the end of life. Carolyn Miller Parr and Sig Cohen have drawn from their work as mediators to produce a guide for all families who will inevitably face the difficult decisions involved in caring for aging parents. In “Love’s Way: Living Peacefully With Your Family as Your Parents Age,” the co-authors address issues of autonomy versus safety, listening rather than making assumptions, dealing with sibling rivalries, downsizing and letting go, and advance planning through wills and powers of attorney. They even confront the “forbidden fruit of polite conversation”: dying and death. While the topic may be sobering, Parr and Cohen have rendered it infinitely approachable by offering engaging and illustrative case stories, nuggets of hard-earned wisdom (“listen twice as much as you speak”), and a graceful balance of sound practical advice (how to choose a home health aide) and emotional guidance (“acknowledge that some competing truths cannot be resolved”). 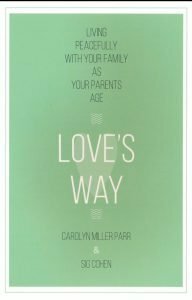 “Love’s Way” is an invaluable resource both for those whose parents are aging and for the aging themselves, who need to make sure that those around them are aware of their wishes. 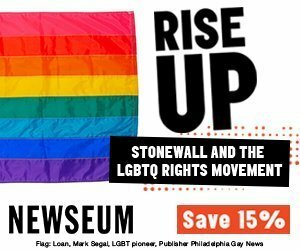 As Parr and Cohen point out, the “difficult but necessary journey toward the end of life” can be made easier when “families can plan for the future together, in a way that respects the dignity and autonomy of parents and the emotional and practical needs of children.” Don’t wait until it’s too late. Carolyn Miller Parr is a lawyer and retired judge and Sig Cohen served as a Foreign Service officer in the U.S. Information Agency. They met through the DC Superior Court’s mediation program and since 2002 have focused on families in distress. Learn more about their work at www.toughconversations.net. DC elementary school teacher Glen Mourning has written a series of books to inspire students in low-income communities. Charles Anthony Thomas, also known as “Crunchy,” is starting fifth grade at the fictional Elite Public Charter School in Washington, DC. Based on his experience in fourth grade, his hopes are not high. “We fought more than we learned…and the teachers made me feel like they hated their jobs.” Many instructors even quit in frustration, leaving Crunchy reduced to “fake reading,” i.e., keeping his head down and turning his face from left to right to hide the fact that he can’t figure out what’s on the page. 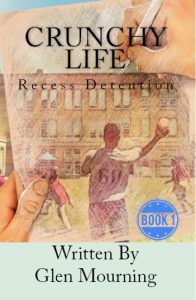 Happily, “Crunchy Life: Recess Detention” ends on a promising note. As Crunchy drags himself to school, “knowing that today would be another bad day of being yelled at by teachers, and made fun of by the guys,” he discovers that his class has a new teacher: a former NFL player who just might be able to distill some needed discipline in the classroom and provide the students with an opportunity to learn. Glen Mourning grew up in subsidized housing and was the first of five siblings to graduate from college and complete his master’s degree. For more on the author and his “Crunchy Life” books, visit www.mourningknows.com. East City Bookshop | www.bookshop.com/events.